Shopping for a mortgage loan? We can help! Give us a call today at (310) 378-2858. Ready to begin? Apply Now. Before lenders make the decision to lend you money, they have to know if you're willing and able to pay back that mortgage loan. To understand your ability to repay, they assess your income and debt ratio. In order to assess your willingness to pay back the mortgage loan, they look at your credit score. Fair Isaac and Company built the first FICO score to help lenders assess creditworthiness. For details on FICO, read more here. 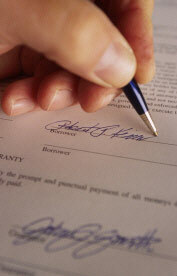 Credit scores only assess the info contained in your credit reports. They don't consider your income, savings, amount of down payment, or demographic factors like gender, race, nationality or marital status. Fair Isaac invented FICO specifically to exclude demographic factors like these. "Profiling" was as bad a word when FICO scores were invented as it is today. Credit scoring was envisioned as a way to assess willingness to pay while specifically excluding any other demographic factors. Your current debt load, past late payments, length of your credit history, and a few other factors are considered. Your score comes from the good and the bad in your credit report. Late payments count against your score, but a record of paying on time will improve it. For the agencies to calculate a credit score, you must have an active credit account with at least six months of payment history. This payment history ensures that there is enough information in your credit to generate an accurate score. Should you not meet the criteria for getting a credit score, you might need to establish your credit history before you apply for a mortgage. Cal Fed Mortgage can answer your questions about credit reporting. Call us at (310) 378-2858.